Visiting New Delhi India for a month to a year? 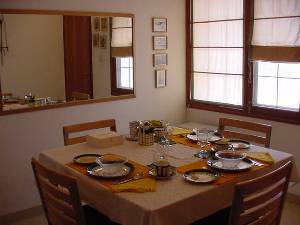 Are you looking for a fully furnished and well equipped NEWLY REDONE Apartment in Delhi at an affordable price? If you do not want to bother yourself with furnishing a place and at the same time want all the comforts of home, You are looking at just the place! 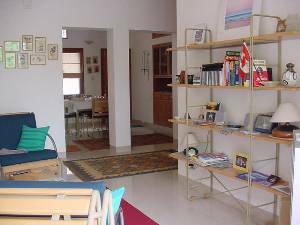 A 2 bed apartment with very green surroundings and ample parking. A perfect guesthouse for corporates who have a high percentage of visiting executives. 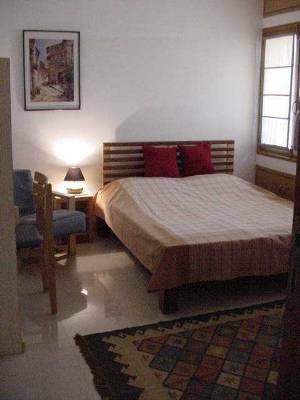 Situated in Vasant Kunj [right by the posh and very expensive Vasant Vihar!] With direct road access from Vasant Vihar and a green belt on two sides, with the best eateries, shopping, hospitals, airport and The Grand New Delhi a stones throw away. My flat offers you all the comforts one expects of a Hotel at a fraction of the cost. I am a Hotelier by qualification[http://www.hfs-news.at] and have spent some years in Europe and in India. The entire flat was redesigned and redone in a contemprary Scandinavian style, including furniture, soft furnishings and all that adorns the walls by my singular effort. A fully furnished and equipped flat with all new appliances. The flat is ideal for visiting executives attached to EMBASSIES, NGO'S, FOREIGN AID PROGRAMMES, INDIAN BUSINESS HOUSES, etc who are looking for a 'value for money' accommodation with all amenities and a 'home away from home' experience. 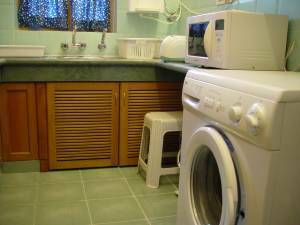 attendant/housekeeper are also provided at no extra cost.Laundry taken care of as well..I can now accomodate upto 4 guests. ..have a queensize in one bedroom and two large singles in the other.Airport pickup for stay of month or longer can be arranged if so desired. 100% of total rental is payable on arrival.No refunds on cancellations . Special discounts for long staying guests /extended staying guests of 3 months or more.